Teens participating in the New Museum Teen Apprentice Program (TAP) will facilitate an art-making project for visitors and guide their use of the Black School’s The Black School Process Cards, a deck of cards offering artist-activist tactics that users can apply to meet community needs. Gathering in the Fifth Floor Gallery at 3 p.m. on Fridays from July 13–August 17, these drop-in workshops will be first-come, first-served. Every year, TAP offers students employment experience and exposure to contemporary art and ideas through on-the-job-training, field trips, and group projects that engage the Museum’s summer art and social justice exhibition and residency. This year, TAP will work with Kameelah Janan Rashad to assist visitors in her reimagined library and resource room, and participate in a series of six private workshops with the Black School to learn, create, and share artist-activist tactic-based strategies. View all public programs related to this exhibition. 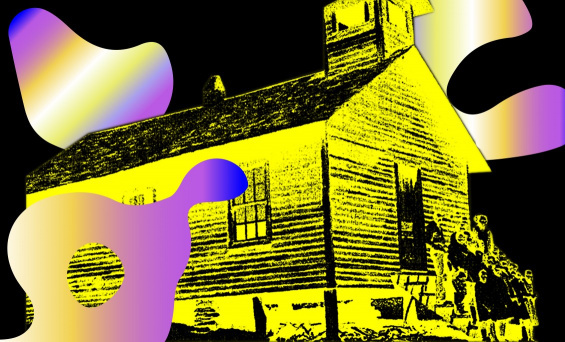 The Black School is an experimental art school that uses black history to educate black and POC students and allies on how to become radical agents of social and political change. Co-administrators Joseph Cuillier and Shani Peters are professors and teaching artists, and maintain solo art practices that combine object-based making and social practice. Exhibition-related programs are made possible, in part, through the support of the New York City Department of Cultural Affairs in partnership with the City Council, and the New York State Council on the Arts with the support of Governor Andrew M. Cuomo and the New York State Legislature. Full support for “The Black School x Kameelah Janan Rasheed” can be viewed here.